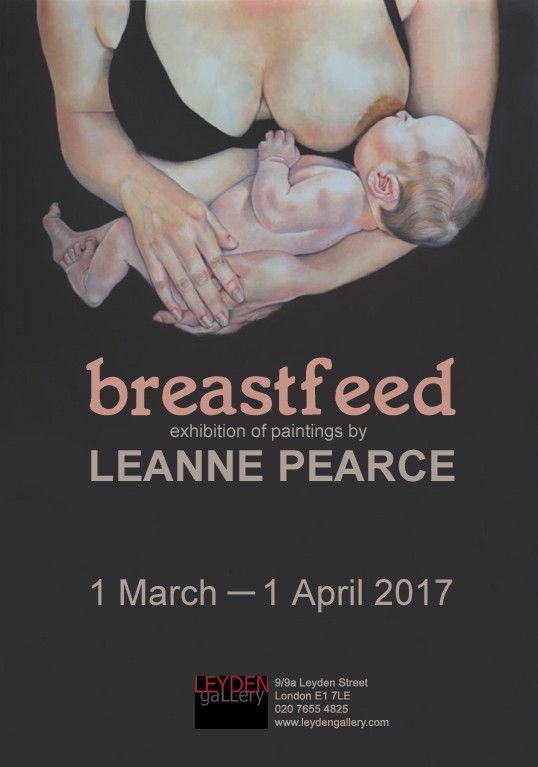 To compliment Leanne Pearce’s first London exhibition Breastfeed (1 March - 1 April), Leyden Gallery is hosting a series of gallery talks, performances, and panel discussions running throughout the course of the exhibition during March curated by Adriana Cerne. 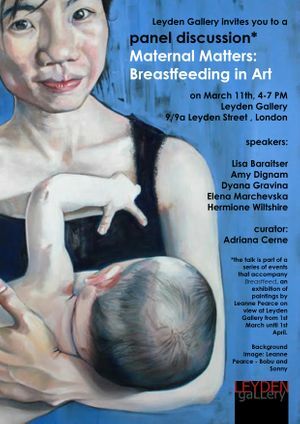 These events are referred to as ‘feeds’ that openly lean towards a feminist undertaking with guests/panellists who will address the maternal & breastfeeding as a subject pertinent to this moment; one that opens the world of discussion and larger debate. Sharon will consider the intersection of motherhood and digital culture through an exploration of the significance of breastfeeding selfies. In what ways, and to what effect, do these images communicate and articulate a specifically maternal experience and might we consider the emergence of this cultural archive of breastfeeding to have a disruptive radical potential? 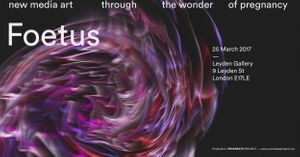 Foetus, is an un-seen and highly innovative concept of new media live art where humanity and technologies are interlaced through the wonder of pregnancy. 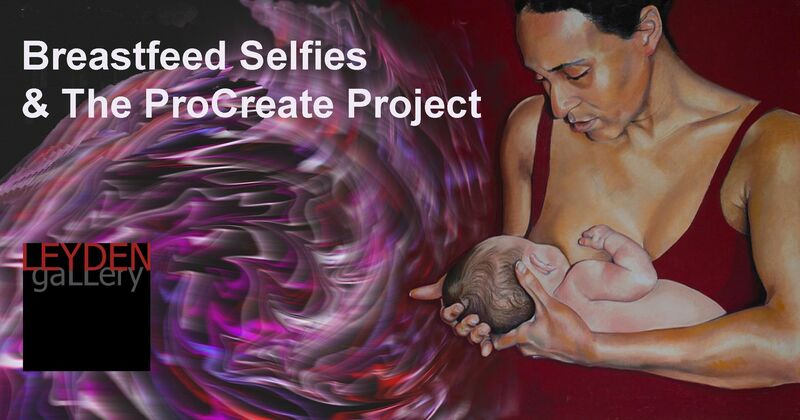 The project focuses on the state of interdependency between the mother and the child in the foetal stage, in which the fetus develops and reacts to the outside world through the mother, and subsequently, on the autonomy of a physiologically structured child, which coincides with the final creation. The concept is to explore how a woman maneuvers physically and psychologically through the progression of pregnancy, drawing on the journey from acceptance through to submergence. The personal experience of the pregnant performer is translated in movement and body expression obtaining an always-unique live performance piece. The performance shows how a mood can be reflected on the body actions and how these generate impulses and responses to another body inside it, a set of elements in continuous development that influence and overlap one another, creating a powerful and creative energy. The use of technological devises positioned on the performer’s body, Electrocardiogram and Fetal ultrasound Doppler, generate real-time graphics and sounds and control playback properties and create a set of elements in continuous progression that influence and overlap one another creating an experimental audiovisual performance.